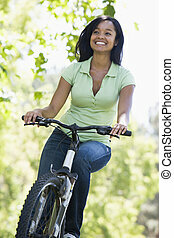 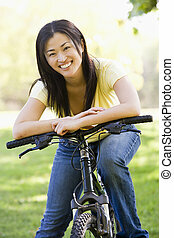 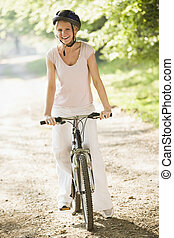 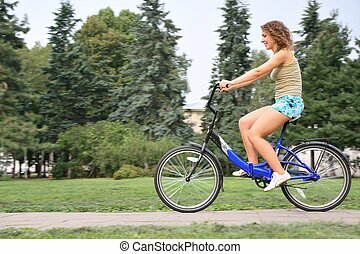 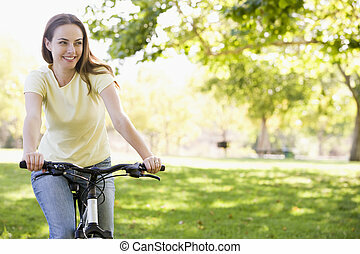 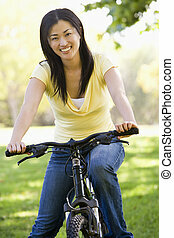 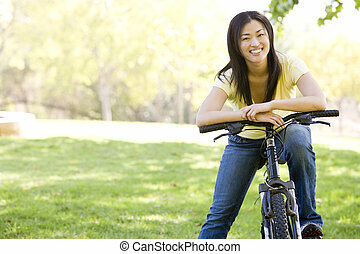 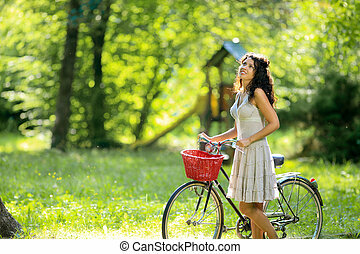 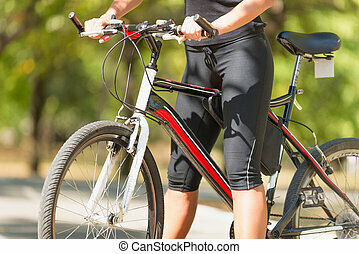 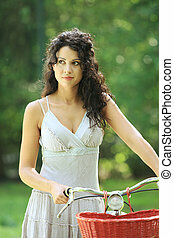 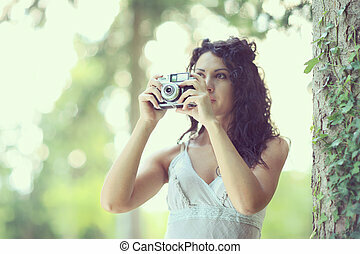 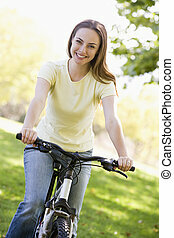 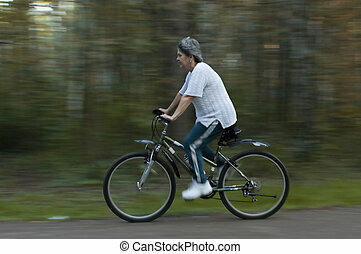 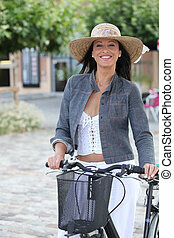 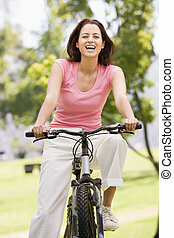 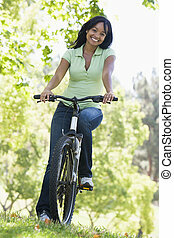 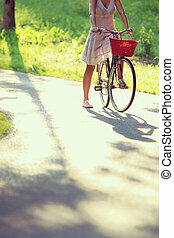 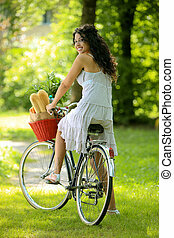 Woman on bicycle. 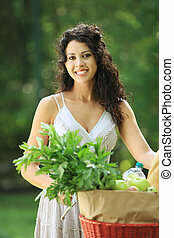 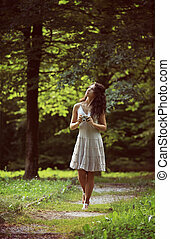 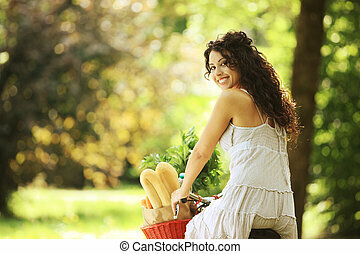 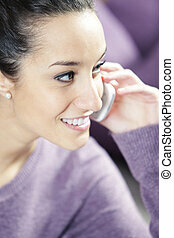 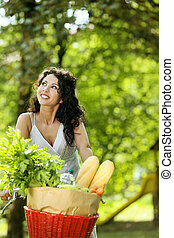 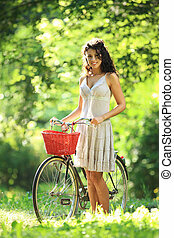 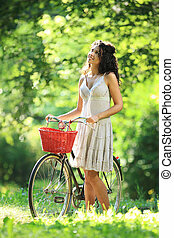 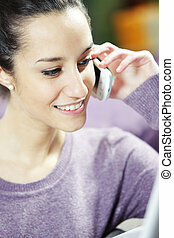 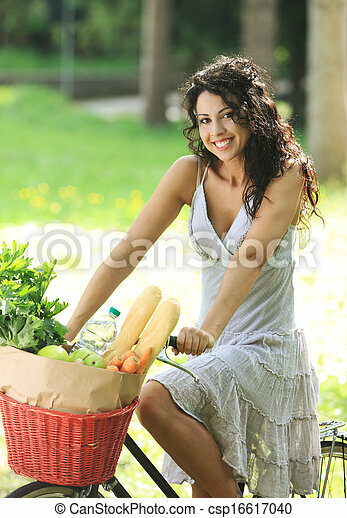 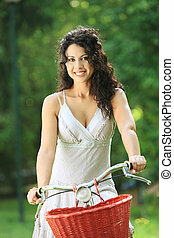 Portrait of a beautiful young woman riding bicycle with groceries in basket. 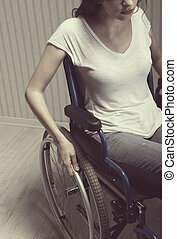 Attractive woman relaxing and sunbathing on tanning bed.